Determining which customer service channels you can support to better serve your policy holders. Customer service is essential to success in every industry; even more so in insurance. The technological landscape is constantly changing and creating new channels to provide better service to your clients. But which channels should your agency pursue? It’s important for you to first understand the demands of your customers, then to determine what methods you can effectively support to meet their needs. What Do Your Insureds Want? The days of only comparing your customer service model to other companies in the insurance industry are over. 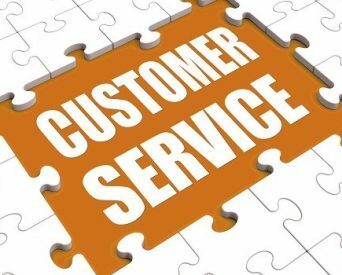 The growth of online companies like Amazon, coupled with the technological advancements of the past decade, has set a new bar for customer service in every industry. Buyers expect to have access to information in real time and the ability to talk to an expert from your company with a click of a button. The old model for insurance agencies consisted of a customer service hotline and an info email address. These are still valuable tools to use and maintain, but they aren’t enough by themselves. Some of the emerging communication channels that clients seek are social media, live chat (video or text), customer self-service, and mobile. Integrating some, or all, of these into your current customer service model can help your agency improve customer satisfaction while appealing to multiple generations of buyers. Obviously your insurance agency would like to support every customer service channel your clients are using 24/7, but is that feasible? Weigh your technological capabilities, your available manpower, and your available capital to create a customer service model that you can maintain and that meets the needs of your clients. Although it may seem like you are missing out on an opportunity to improve the ease of doing business with your agency, opening channels of communication that you can’t effectively support will do even more harm in the long run. It’s important that your agency has perfected your current modes of communication before adding a slew of new methods. If you aren’t responding to emails or phone inquiries in a timely manner now, you should expect that your service in these channels would drop even further with more to monitor. Take the time to sure-up your current customer service practices and have a plan in place for supporting new channels before moving forward. You’ve fine-tuned your current customer service model and added a few new channels of communication for your clients; now what? It is essential that your agency continuously improves upon the workflows you’ve established to provide the best possible service to your insureds. Send surveys to policyholders and ask them how you can improve. Keep an eye out for what other companies are doing to increase their service and take the time to determine if their methods are right for you. If any of the 6 channels mentioned above aren’t feasible for your agency today, revisit them quarterly or bi-annually and see if it makes sense to integrate anything new. Keep searching for ways to better serve your customers and you’ll give them a reason to stay with your agency. For related articles on customer service technology, visit TechTarget on their website.